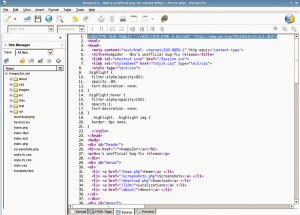 Kompozer is a free open source alternative to Adobe Dreamweaver and Microsoft FrontPage. It is a WYSIWYG editor, and comes with top notch features that makes it a front runner in free web page editors. Kompozer is super-fast, and very reliable, in part because it is based on Gecko, the layout engine from Mozilla. If you are looking for an alternative to Adobe Dreamweaver or Microsoft FrontPage, Kompozer will not let you down. Kompozer comes with a built-in support for managing your web files by FTP. You can simply connect to your web directory via FTP in Kompozer, and Kompozer will show you all your files in a nice tree structure. You can directly edit any file easily, and save it back to your web directory. Kompozer is very small in size, and fast paced. 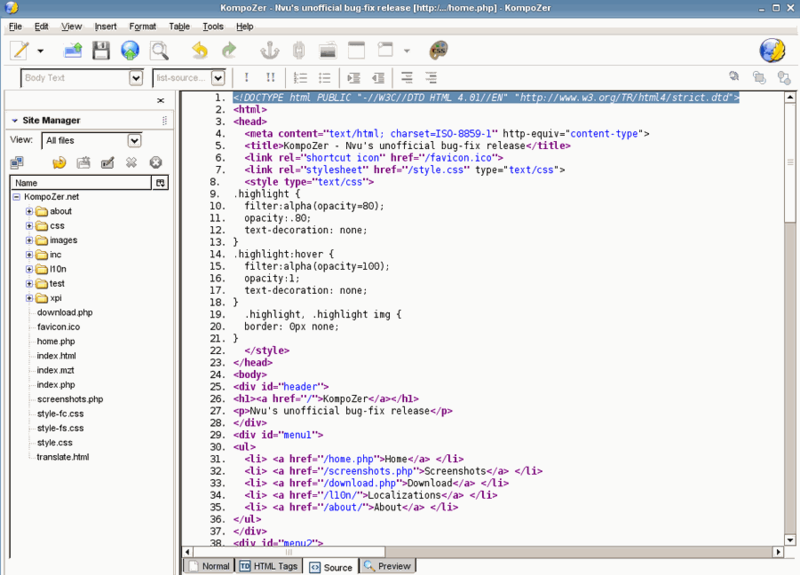 WYSIWYG editing of web pages, so that you don’t need to master HTML to create web pages. Kompozer has a tabbed interface. So, you can open multiple pages together in different tabs. Kompozer creates standards compliant HTML code. Kompozer even lets you call W3C’s HTML validator from within KompoZer to validate the HTML. You can easily switch between WYSIWYG editor and HTML mode. Integrated FTP management to directly browse and edit the files on your web server. Kompozer comes with a powerful CSS editor. Kompozer works on Windows, Linux, and Mac. Kompozer shows all the code in properly formatted fashion, that makes it very easy to navigate through the code. Kompozer is really good, very stable, and fit for production use. Whether you are a professional web developer, or a novice just starting with web page development, you will find Kompozer useful in either case. Love the fact that it is completely free, and open source. If you are not looking for such a full featured web page editor, you can try built-in web page editor in SeaMonkey.